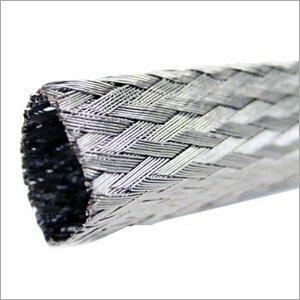 Tinned Copper Braided Tubular sleeve and Flat sleeve / jacket provides abrasion resistance and electrical grounding for wires, cables and hoses. Also provides EMI / RFI attenuation and protection. Excellent current carrying / grounding capability. Available in sizes ranging from 1/16" ID through 2 1/4" ID.